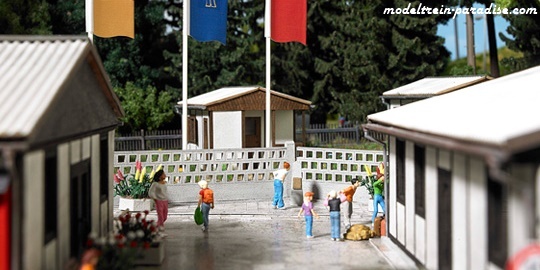 Marklin Busch H0 Accessory kit for a typical East German Democratic Republic (GDR) summer camp. 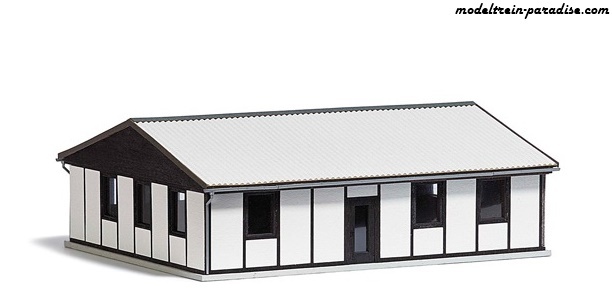 Kit includes a gate house, a barrier gate, a muster area with flag poles, a cement wall, an obelisk, plants, flowers, benches, information boards, a fence (length: 600 mm), etc. 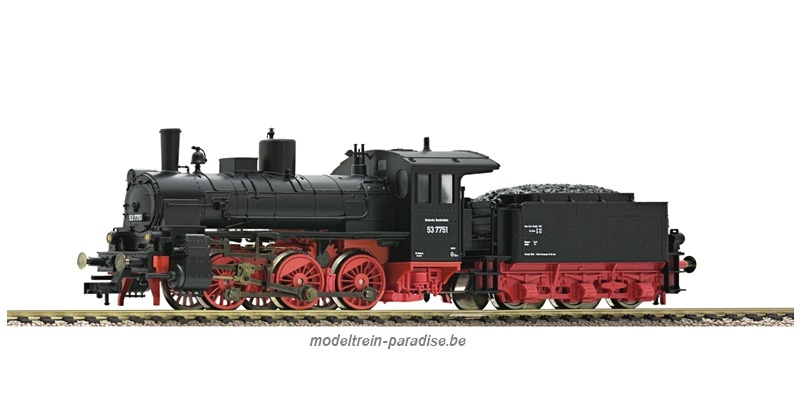 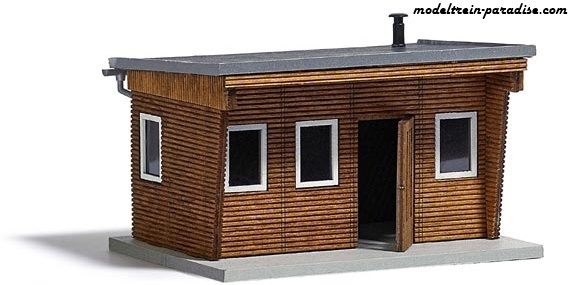 Marklin Busch H0 Kit for a classic type GL 14 garden bungalow from the East German Democratic Republic (GDR) using mixed materials (cement and wood) construction methods. 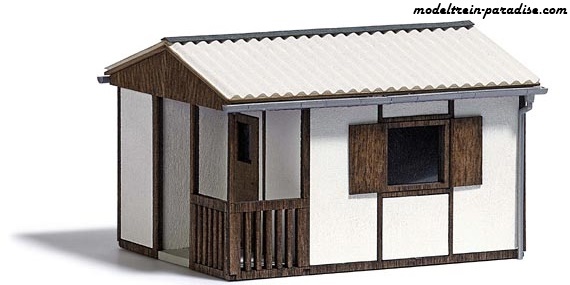 Genuine wood is used on the roof ridges, the terrace fence, window frames and door and the roof is corrugated. 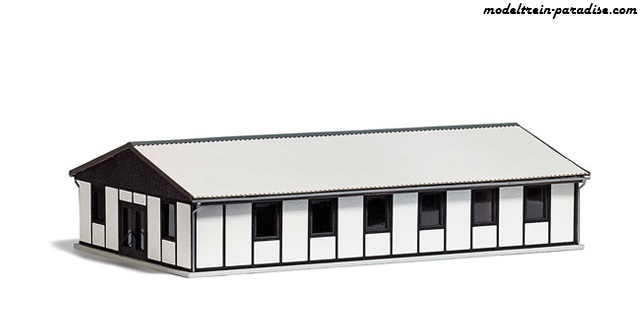 Size H0: 60 x 50 mm, 38 mm high. 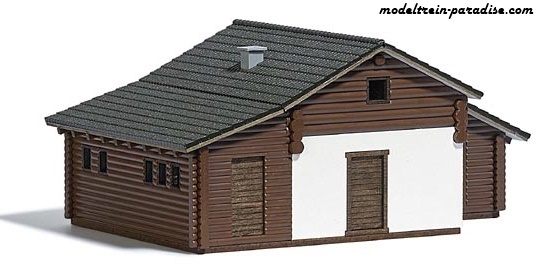 Marklin Busch H0 Kit for a GDR garden bungalow made with genuine wooden parts. 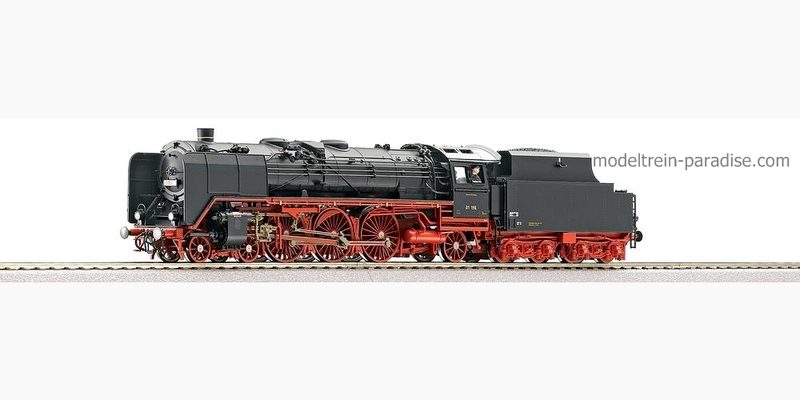 Size H0: 58 x 42 mm, 39 mm high.